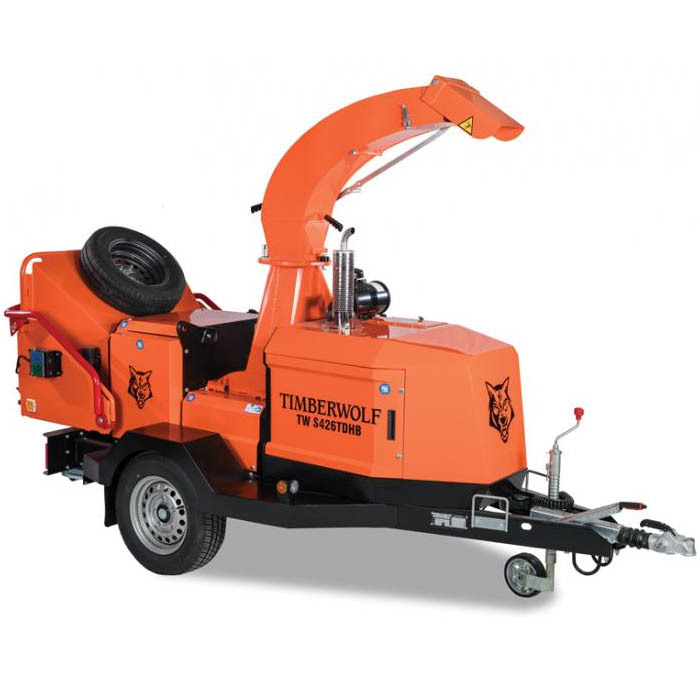 Designed to meet the demand for a heavy duty, versatile, professional shredder, the TW S426TDHB has been speciﬁcally designed for councils, landscapers, waste management contractors and anyone with a commercial sized waste problem. Bulky and awkward material is drawn eﬀortlessly into the huge feed funnel by the ‘oversize’ feed roller, through the large infeed 426mm (16.77”) x 230mm (9”). From here the 18 heavy duty forged steel hammers that are designed to work in harsh conditions, process material which is then ejected through the high volume directional discharge with boosted ‘air-assist’. Processing is monitored and controlled by the electronic auto- feed device, with ‘auto back-oﬀ’, to give consistent performance.